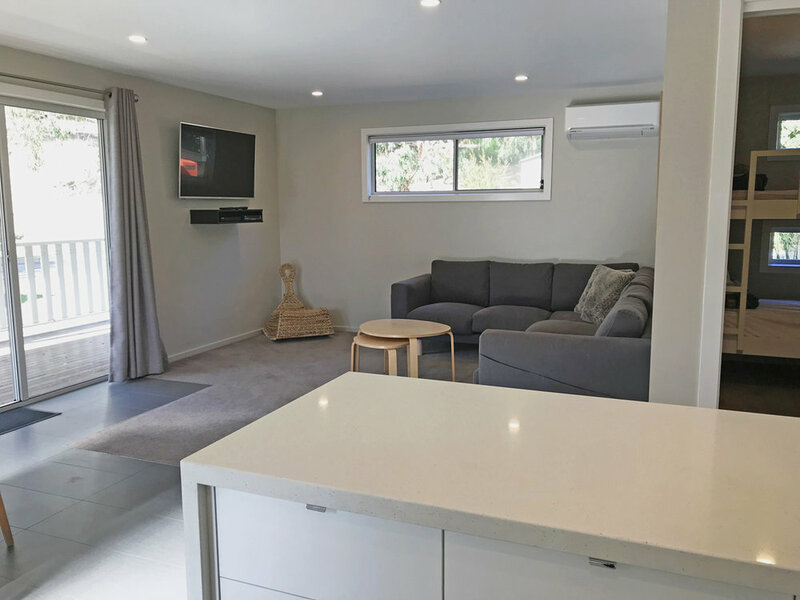 Featuring a fully self contained kitchen with spacious dining and lounge area, seperate bathroom and linen and towels are provided for your convenience. The main bedroom contains a queen bed, there is a double in the second bedroom and the kids get to bunk down with two sets of bunks in the third bedroom. We keep the troops entertained with a LCD TV & DVD. There is a fantastic balcony with outdoor setting and of course, stunning views!